As expected, there is much security surround a Bollywood star’s house, especially that of superstar Amitabh Bachchan. 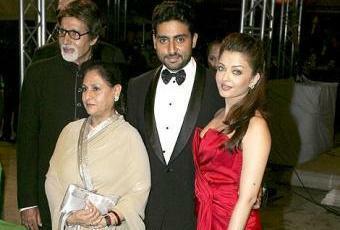 To the Bachchan family’s fury and shock, an intruder broke into their house, Jalsa, on Friday. Bachchan wrote on his blog, “Spent some anxious moments yesterday since we had a break in! The guy was caught and is with the police now under investigation. Seems like a professional, for he had entered the most sensitive area of the house, Jalsa”. He went on to add, “Cops and security are in over drive now. In the end nothing is secure, irrespective of how much precaution one takes”. Bachchan, his wife Jaya, son Abhishek and daughter-in-law Aishwarya as well as granddaughter Aaradhya live in Jalsa.